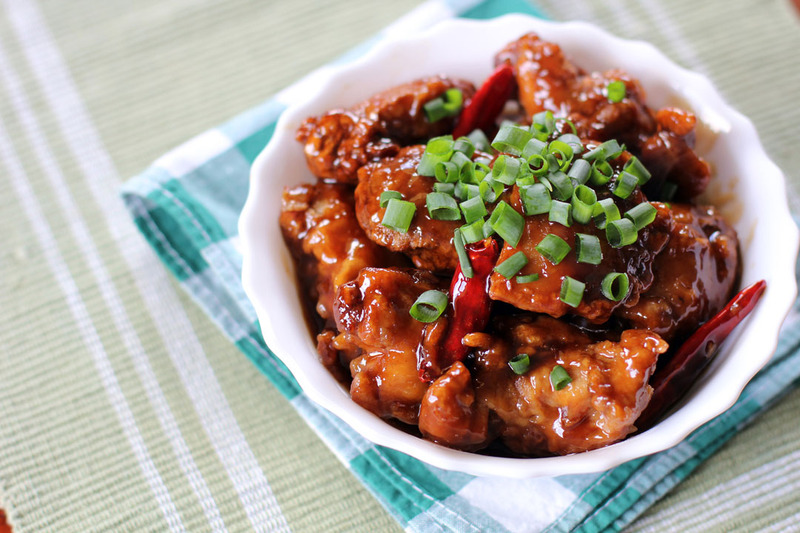 General Tso’s chicken is a sweet and spicy deep-fried chicken dish popular in the American Chinese cuisine. It was named after General Tso Tsung-tang (Zuo Zongtang) who was a Qing dynasty general but it was unclear why. The dish is very typical in the Hunanese cuisine but this did not originate in China, it was introduced in New York during the 1970 to showcase Hunanese cuisine. There are some speculations though on how it got its name and it is said that “Zuo Zongtang chicken” does not reference the Generals name but rather as a homonym “zongtang” meaning “ancestral meeting hall”. Like any other great dish with unclear history there are several claims to its invention one was by Taiwan based chef Peng Chang-kuei when he moved to New York and open a restaurant where he had invented the dish, initially it contained no sugar but to cater for the locals palate it was soon added, he then introduced the dish in Hunan during the 1990’s but was not successful as locals complained the dish was too sweet. Another claim stated that New York’s Shun Lee Palaces famous as the first Hunanese restaurant in America said they were the first one who served this dish and it was invented by their chef named T. T. Wang in 1972. The first time I saw this recipe I thought it was the same as the Philippine Adobo due to the fact that both contains soy sauce and vinegar but the taste is totally different, I feel like this is a cross between Sweet and Sour and Adobo . Mix together sweet sauce ingredients in a bowl then set aside. Mix together cornstarch slurry ingredients, mix well until even in texture. This will be something like a thick paste. Prepare a wok, place enough oil for deep-frying. Dip and coat chicken pieces with the cornstarch mixture, then deep fry chicken pieces. Once cooked remove from wok then drain. In a separate wok add oil then sauté ginger, garlic and chillies. Add the sauce mixture then once its boils and thickens add chicken and spring onions. Season with salt then gently fold chicken until its coated with the sauce evenly, turn off heat then serve. A friend of mine always orders General Tso’s, she would love to have a recipe she can make at home — I’ll pass it along. Another great recipe, Raymund, thanks. Another beautiful dish – and saved for later. Thank you! Just like the Chop Suey & Fortune Cookies, these are created for the American palate, Chinese food made in America. I’ve told my son, I never saw these items on the walls or menus in Chinatown near Divisoria (Manila) before it became a mall nor in the pages of my big 1979 Complete Encyclopedia of Chinese Cooking cookbook which I got from Manila. There is a restaurant in our city that claims to have made Ginger Beef first. I wonder if that’s possible? This is my favorite dish, Raymund! In fact, oddly enough I was thinking just this afternoon that I’d like to learn how to make it.. and here you are! Hey, Raymund! 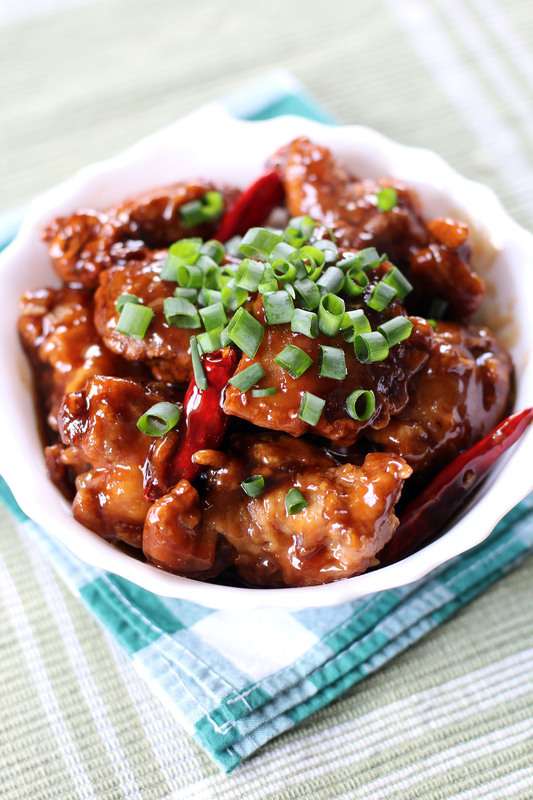 Thanks for the recipe…This is one of my hubby’s favorite Chinese chicken dishes. Have a great weekend! I’ve been looking for a good General Tso’s recipe for years… I’m definitely going to give this one a try. Thanks Raymund! I don’t order this at a chinese restaurant BUT I have a friend who ALWAYS order this!!! Totally sending this to him. 🙂 Thank you Raymund! Thanks! I’m a missionary in Kenya, and while we can get a hold of a lot of foods here, sometimes the more obscure ones are harder to find. Thanks, again!